YOU DON'T PAY A PENNY!!! 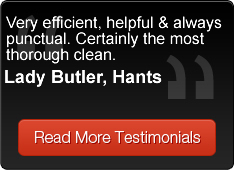 Are you looking for a carpet cleaner to fulfil ALL promises? A family run business specialising in bringing your tired looking carpets back to life? Having your carpets ultra clean, healthy & smelling so fresh? Cleaned by a fully qualified, insured & friendly owner? Then you've landed on the correct page! Please browse below & our other pages for more detailed information. Follow us on Facebook. Just click on the icon at the top of the page & it will take you to our Facebook Business page. If you like what you see, please feel free to leave a comment & give us a "like"
Learn 8 questions to ask, before letting any cleaner into your home. 5 Costly misconceptions about carpet cleaning. 2 Carpet Cleaning Rip Offs. Are You Fed Up With Your Dirty Carpet? It doesn't seem to matter how hard you try, it's always the same old story. Dirty, tired looking carpets! But it doesn't have to be that way. What condition is your carpet in anyway? You can now find out with our FREE carpet audit! We'll cover all the problems your carpet has. We'll check for "unwanted" stains and tell you whether or not they can be removed and how. We'll calculate the wear age of your carpet and explain how long it will be before you may need to buy new carpet, then give you a prescription to make your carpet last as long as possible. We'll determine if your carpet is in good health. Yes, your carpets health can affect you & your family's health. You track in all kinds of pollutants which get lodged in your carpet, such as car exhaust, cigarette smoke, dust, germs, pollens and much more. We'll test your traffic areas. Then tell you how we can make these areas look as good as the rest of your carpet. There is no cost and no obligation to even get one room cleaned. So call for your Free Carpet Audit today! We use hot water extraction with the most advanced machine on the market today. It cleans way down to the base of the fibres, completely removing harmful dirt & bacteria. It is very powerful and doesn't leave any residue, leaving you with a fresh clean healthy environment. Honest pricing. No high pressure sales gimmicks and no hidden costs. The price we quote includes all solutions, machinery and manpower to give you... The most thorough clean You've ever seen...Or it's Free! Free consumer awareness guide! 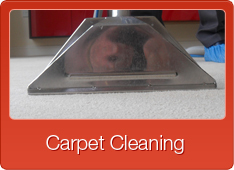 We've dedicated our business to helping consumers to understand carpet & upholstery cleaning. That's why we published our "consumers guide to carpet cleaning". A family business with an old fashioned caring work ethic. Our clients are our livelihood. Should we fail to deliver our promises then we wouldn't be one of the fastest growing carpet cleaning business's serving the South. Allergy Control! We are licensed applicators of PROmite, which is the newest and most effective dust mite eliminator on the market.